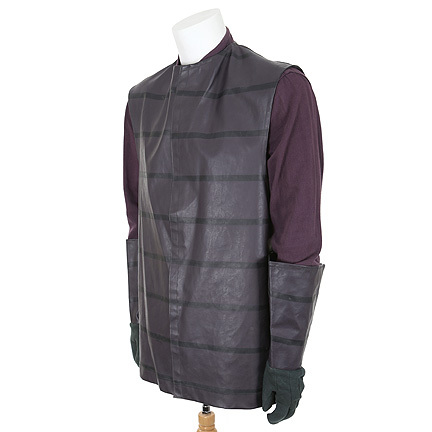 This costume was worn by a background Gorilla soldier character in the 1970 motion picture “Beneath the Planet of the Apes”, the highly acclaimed sequel to 1968’s “Planet of the Apes”, both starring Charlton Heston. 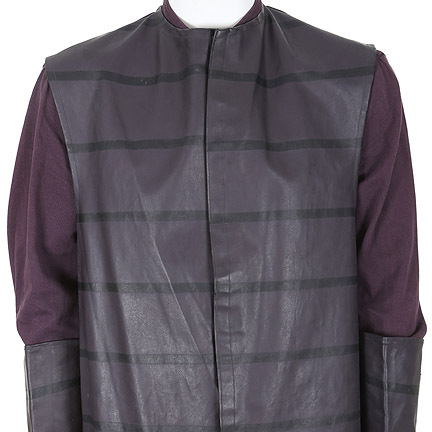 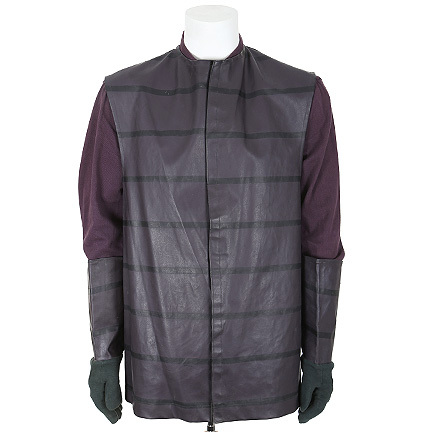 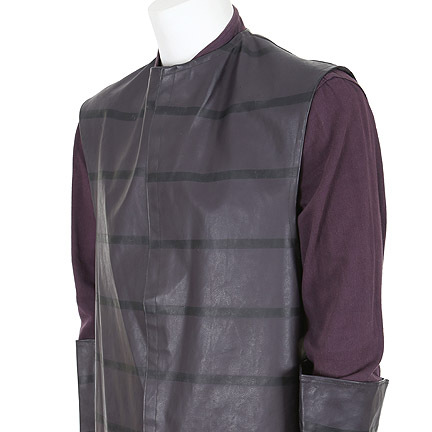 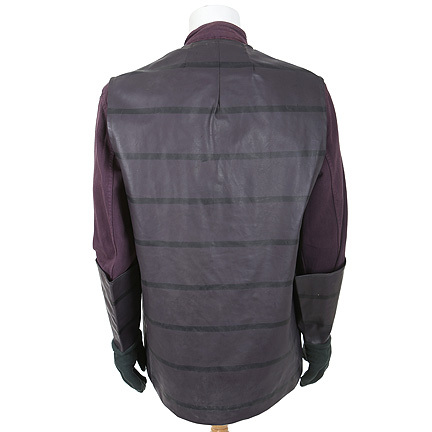 The outfit consists of a vinyl purple and black striped vest and purple front buttoned cotton shirt with label by Angelica, and a pair of black gloves with oversized purple vinyl cuffs. 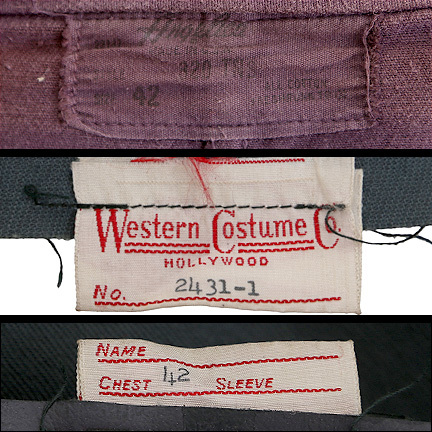 The original Western Costume Company label is sewn inside of the vest with the made to order number “2431-1” and size “46” typed in black ink. 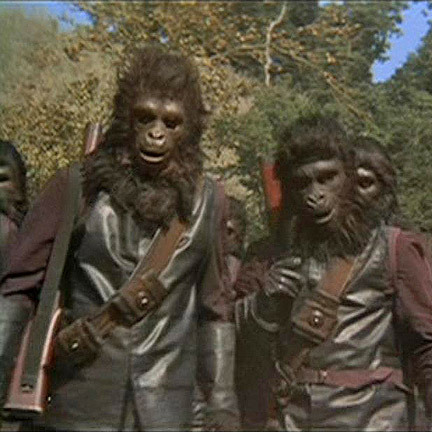 There were two types of background Gorilla costumes made for the production, ones with leather vests that were used for close up shots, and the vinyl version seen here which were used for background shots. 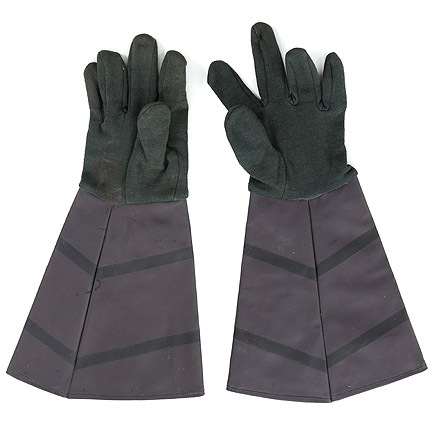 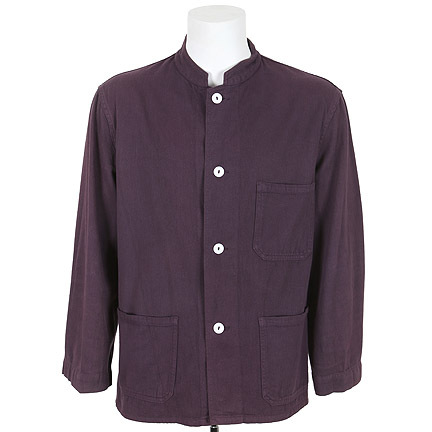 The items are in very good screen worn condition with minor evidence of wear from their use in the film and possible subsequent productions. 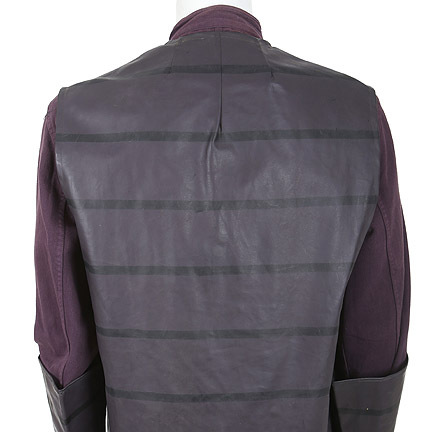 This costume is accompanied by a letter of authenticity. 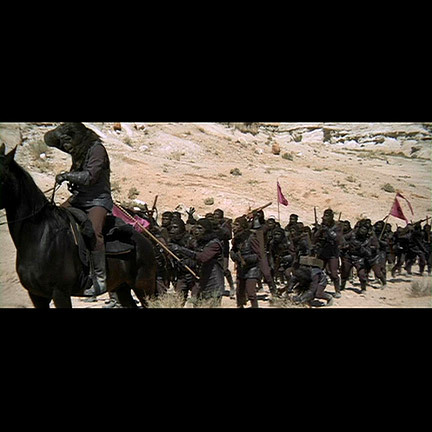 “Beneath the Planet of the Apes” was the sequel to the 1968 motion picture “Planet of the Apes” and featured Chartlon Heston reprising his role as “Taylor” from the first film. 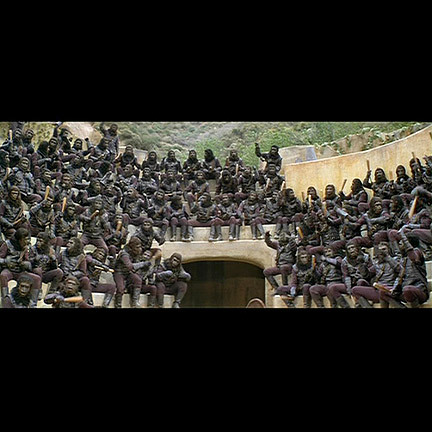 The immense popularity of the franchise amongst science fiction fans lead to three more sequels, a television series, animated series, a Tim Burton remake of the original film released in 2001 and a prequel “Rise of the Planet of the Apes” in 2011.